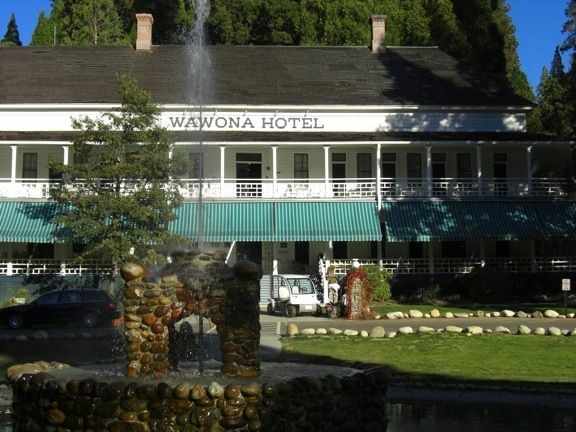 The historic Wawona Hotel is located in the southern portion of Yosemite National Park. Originally a stop-over for stagecoaches heading for the Yosemite Valley, the grand hotel is still being used by visitors to the park. The hotel features dining, access to Glacier Point and the Merced Grove of giant redwoods, and a nine-hole golf course.